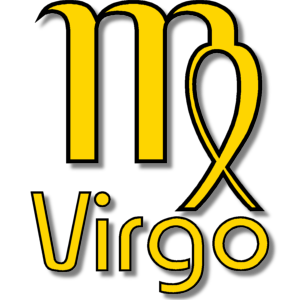 Add your Virgo star sign symbol to your Facebook or Twitter profile image. Virgo - The Virgin - August 23rd - September 23rd. Virgo is the sixth sign of the constellation of the Zodiac. Virgo ends officially at the moment of the autumnal equinox when The Sun crosses the equator heading south and triggering the northern hemisphere winter and southern hemisphere summer.